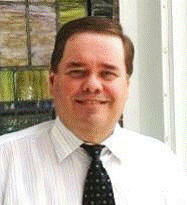 Paul is in his ninth year as the pulpit minister for the Warners Chapel church of Christ in Clemmons, NC. He is also the Director of the North Carolina School of Biblical Studies that began in August 2007 and is located in Clemmons, NC. Paul is a graduate of the East Tennessee School Of Preaching and Missions in Knoxville, Tennessee, and has course work from Ohio Valley College and West Virginia University at Parkersburg. He was awarded the Bachelor's Degree and the Master of Arts from the Theological University of America. Paul has served churches in Kansas, West Virginia, South Carolina, and North Carolina. He has been preaching for thirty-one years and has preached Gospel meetings in West Virginia, Indiana, North Carolina, Michigan, and South Carolina. Paul has also done radio and television work for several years. Paul is a part-time instructor for the Fishers Of Men evangelism program. Paul was an instructor in the Central Carolina School of Preaching in Sumter, SC from 2001-2004. He and his wife Carla have been married for thirty-three years and have three children, Myca Beller, Jennifer Briden, and Joshua Kirkpatrick. All are faithful members of the body of Christ. Paul was born and reared in Parkersburg, West Virginia.